Google is an extraordinary company but while their data analysis may be top notch, the user interface of their programs often suffers from being designed by engineers for engineers. Tools also seem to garner huge audiences – there are over a billion active Gmail users, for example – which slows down the rate of progress because change might be good, but it can be confusing too. That’s why Google’s been very careful with the rollout of the new Google Calendar interface. It’s more colorful and lively, but it’s definitely a different view and there are some changes to the user experience that might initially baffle you if you’re a casual user. And so, here are some of the real basics of different views, adding an event and even changing the colors associated with specific calendars to keep everything straight on your calendar! Handy to get a quick visual sense of your calendar, free time versus booked time, etc. That’s a lot of options and I can’t help wonder if some of them are purely for people within Google to manage and access each other’s calendars for meeting planning, etc. Still, lots of possibilities, including specifying which calendar to add the event, duration, whether it repeats, notifications for the event, etc. Also note on the right that you can invite guests to a meeting and even control whether they can invite others, see the guest list, etc. 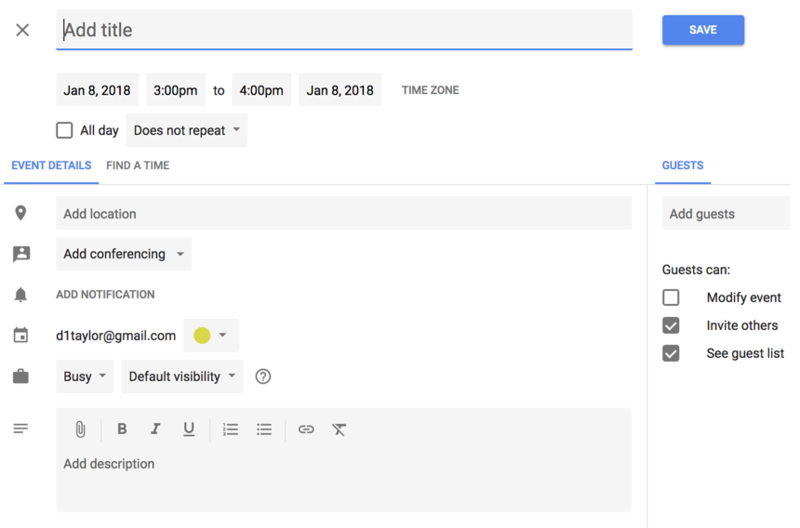 There’s a lot more to the new Google Calendar design, but that should get you started. Don’t forget to explore “settings” in the various areas of the calendar too so you can fine tune it perfectly for your needs and tastes! Is there a way to set the default as the old calendar format? I honestly never ever used these kinds of programs. Maybe I made a note here and there with Cortana but that’s all. I’m now becoming more and more of a busy person with more responsibilities which is why I’ve been considering to start using something like that as a reminder/note system. 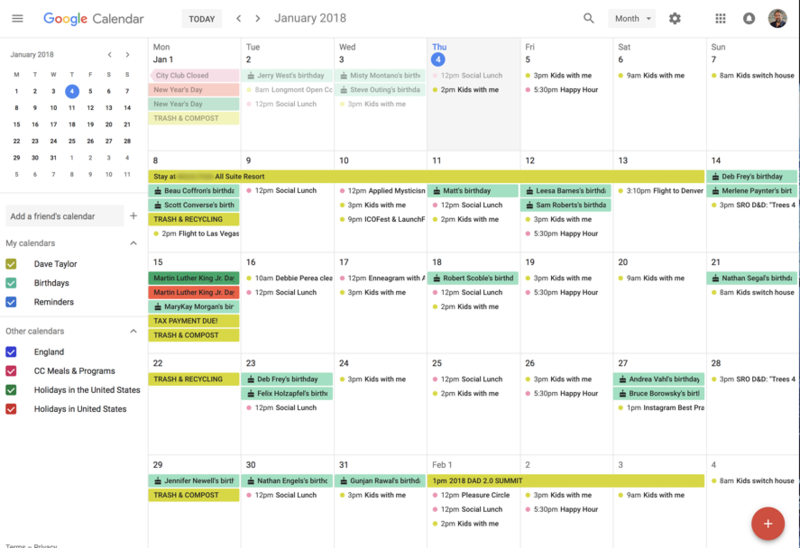 Would you recommend Google Calendar to a beginner like me? I use this and it is confusing at but I am slowly getting comfortable with it , however their help sometimes is difficult to use. Currently I’m waiting for help re sudden change from allowing me to see month entirely to only 7 day increments despite calendar mode i’m in. Do you have any ideas how I can get this back?